In his new role, RADM Baumgartner will oversee the global cruise brand’s fleet and their nautical, technical and maintenance operations. Recently retired from a distinguished 33-year career, RADM Baumgartner served as Commander of the Seventh Coast Guard District and Director of Homeland Security Task Force Southeast, with responsibility over 40 ships, more than 11,000 people and all Coast Guard operations in the Southeastern U.S. and Caribbean basin – an area encompassing more than 1.8 million square miles. RADM Baumgartner coordinated Coast Guard operations with 34 foreign countries and territories in addition to overseeing several thousand search and rescue missions, the confiscation of nearly $2 billion in illegal narcotics, and the safety and security of commercial shipping in a region that included the three largest cruise ship ports, six of the nation’s largest container ports, and three strategic military outload ports. 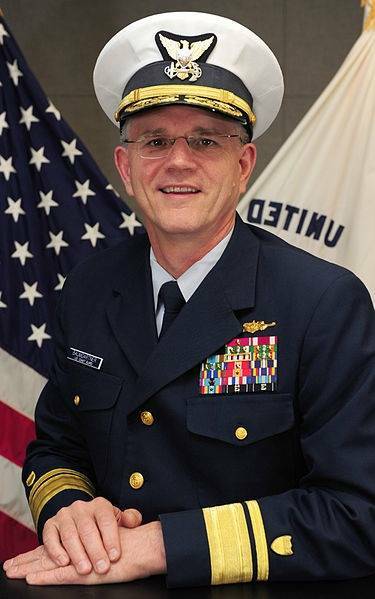 RADM Baumgartner holds Bachelor of Science Degrees in Marine Engineering and Electrical Engineering from the U.S. Coast Guard Academy, an MBA from the University of New Orleans, and a Law Degree from Harvard Law School.